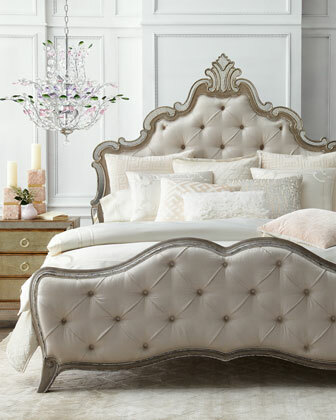 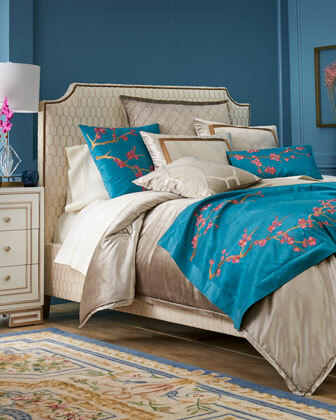 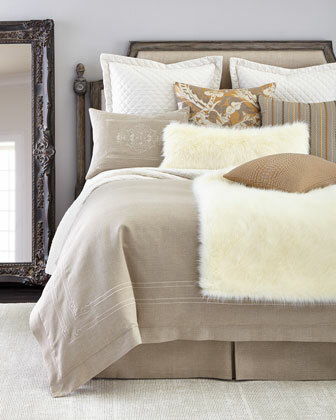 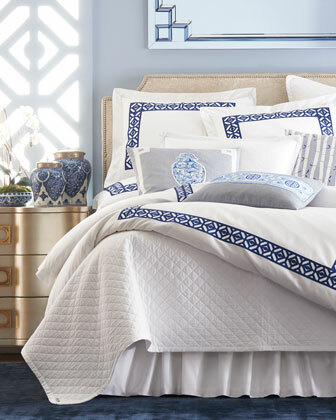 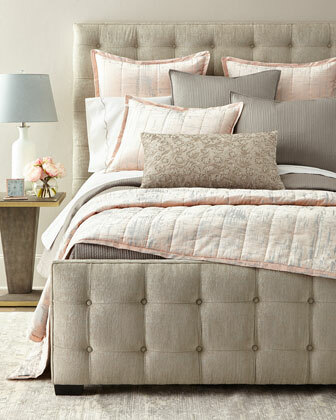 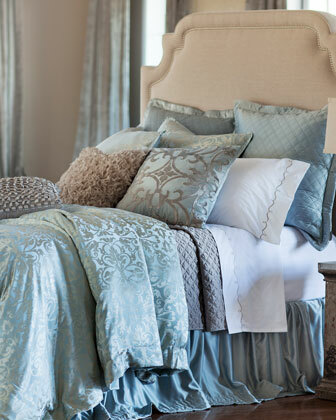 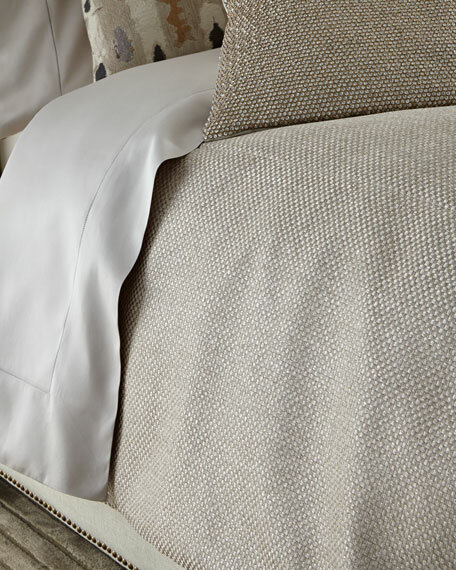 Antoinette bedding: an indulgent collection of yarn-dyed chenille, pleated silk, and diamond-stitched textures in French vanilla with golden highlights. 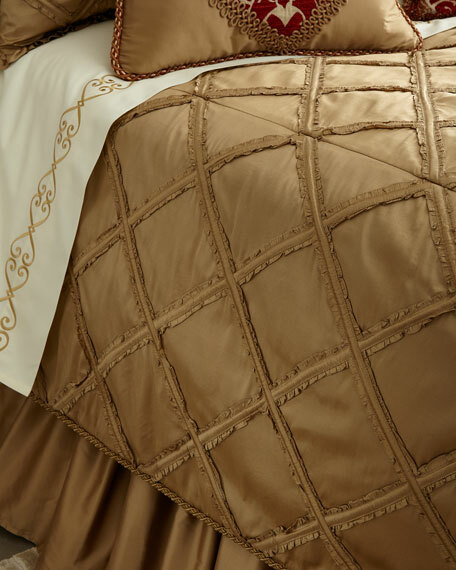 Silk dupioni with diamond-lattice design.Finished with cording.Backed with cotton.92" x 96".Dry clean.Made in the USA of imported materials. 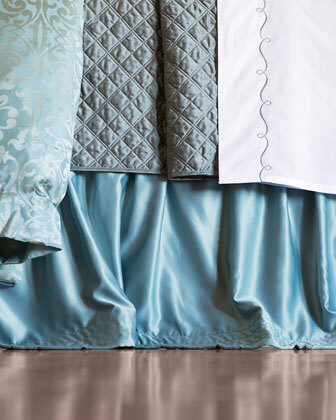 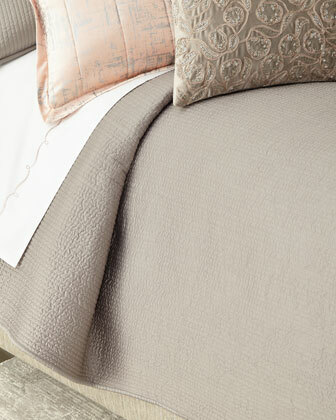 Coverlet made of polyester/cotton.Dry clean.90" x 95".Made in the USA of imported material. 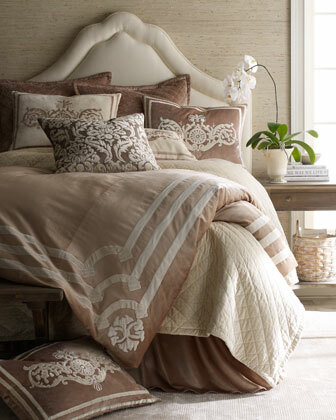 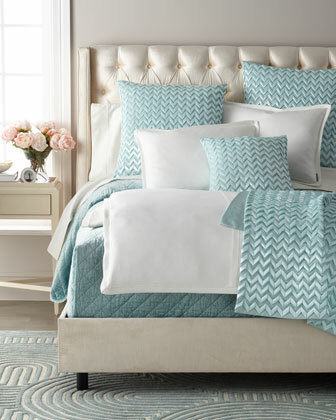 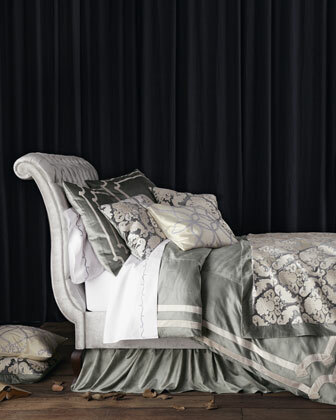 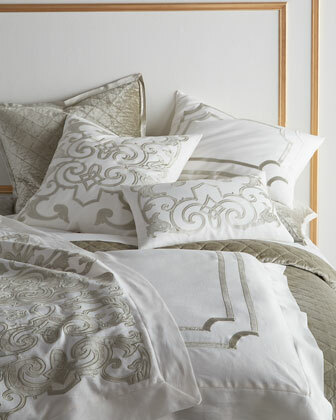 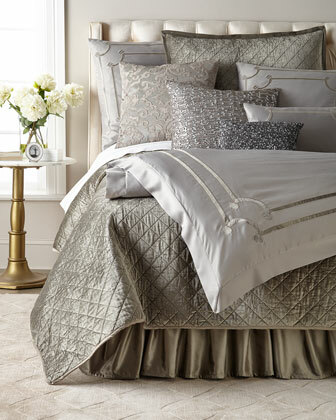 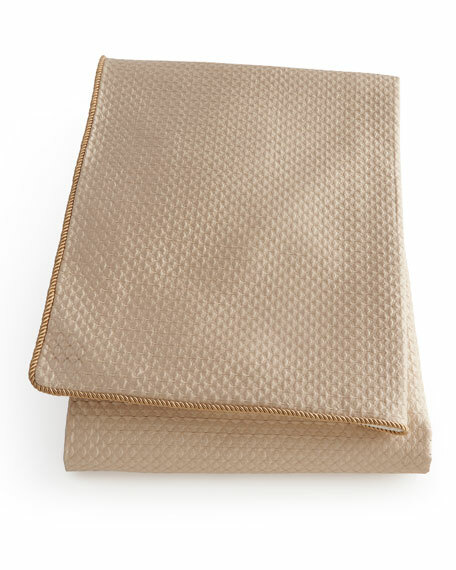 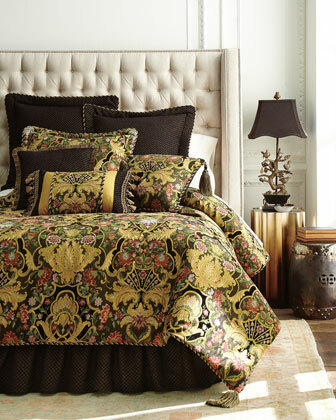 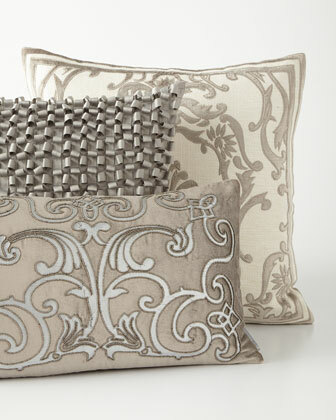 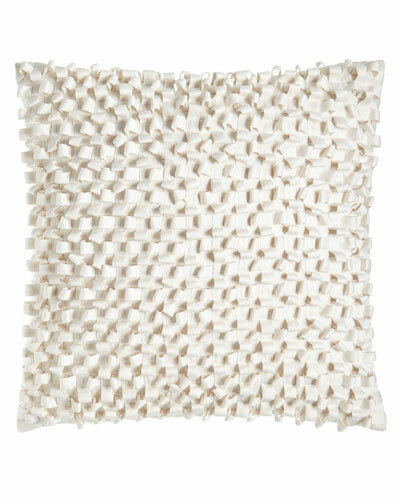 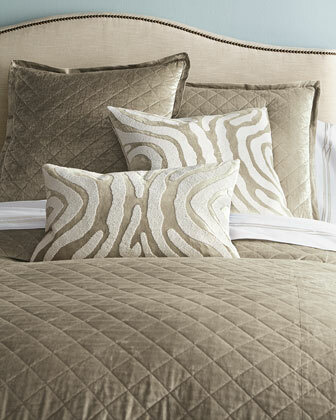 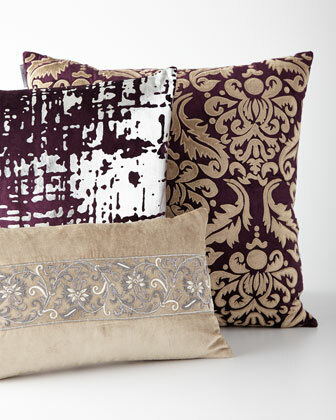 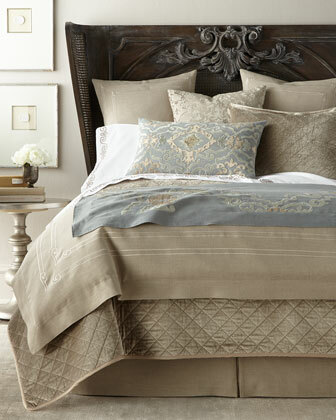 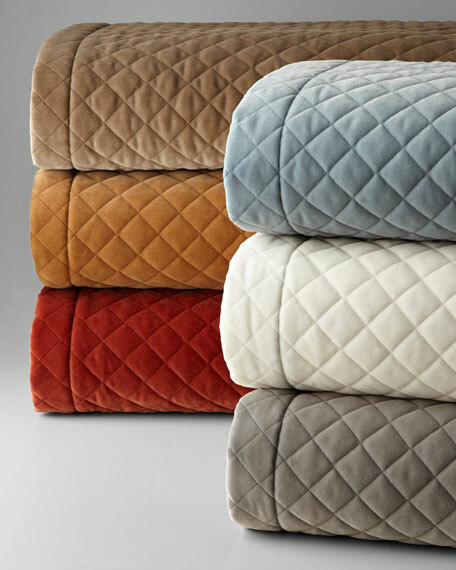 King Soho coverlet.106" x 94".Machine wash.Made in the USA of imported polyester.